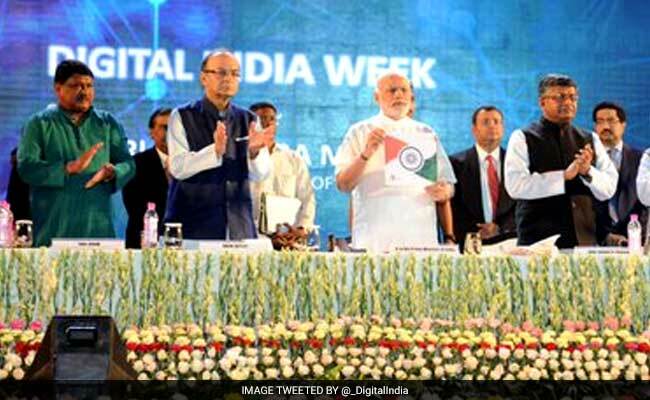 The Digital India Day programme was scheduled for the 100th day of PM Modi's Digi Dhan Mela. Guwahati, Assam: A day after three Christian-dominated Northeastern states -- Meghalaya, Nagaland and Mizoram informed the centre about their inability to observe Digital India Day today owing to Good Friday, the centre has told the Chief Secretaries of all the states that they can observe the Digital India Day on any convenient date. Yesterday, the Niti Aayog asked the three state governments to organise the day on any other day. "It has been decided that the Digi Dhan Mela may be held on any other date convenient to the governments of Meghalaya, Mizoram and Nagaland," Niti Aayog Chief Executive Officer Amitabh Kant said. The Digital India Day programme was scheduled for the 100th day of the Digi Dhan Mela, which is on April 14. But it coincided with Good Friday celebrations. The centre's decision to observe the day on Good Friday met with strong opposition from the three states. Meghalaya Chief Minister Mukul Sangma on Tuesday criticised the BJP-led NDA government for observing Digital India Day on Good Friday. 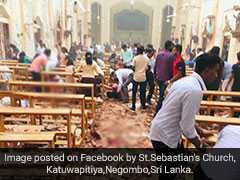 "Are they selectively identifying these dates to marginalise the minorities with a complete disregard to the Constitutional obligation of ensuring personal liberty?" the Congress leader had said. He demanded that people be given space to engage in their cultural and religious activities. Meghalaya's opposition parties -- United Democratic Party and Hill State People's Democratic Party -- too opposed the observation of Digital Day on Good Friday, the day Christians offer prayers to mark crucifixion of Jesus Christ. Nagaland Chief Secretary Pankaj Kumar said the state government will not join any activity related to the event. Mizoram's Young Mizo Association termed BJP government's decision as a show of disregard to one's religion. The Naga Peoples' Front (NPF) government in Nagaland, where the BJP is an alliance partner, also informed the centre that they can't observe Digital India Day on Good Friday. In 2014, the government's move to declare Christmas as Good Governance Day had drawn criticism and West Bengal Chief Minister Mamata Banerjee had even quipped "every day is good governance day".